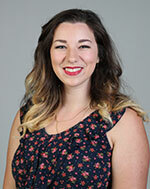 Laura Johnson, Ph.D., serves as Title IX Coordinator. 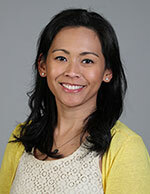 Dr. Johnson comes to Baylor from Georgetown (Ky.) College, where she served as Vice President for Student Life/Dean of Students and Title IX Coordinator. She has a wide range of experience in student services overall and in the prevention, investigation and management of sexual violence on college campuses. Carolyn joined the Title IX Office as a Title IX Investigator in October 2016. 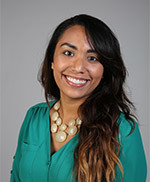 Her primary role as the Deputy Title IX Coordinator is to assist the Title IX Coordinator in the oversight of investigations and resolution of matters involving sexual and gender-based harassment and interpersonal violence to include sexual violence, dating violence, domestic violence, and stalking, as well as assist with the University's Title IX training and outreach. In addition to assisting the Title IX Coordinator wherever necessary, she will assist in managing the day-to-day responsibilities of the office. In June 2016, Michael joined the Title IX Office as a Title IX Investigator. His primary role is to manage the day-to-day responsibilities associated with the University’s Title IX compliance obligations. Michael conducts neutral investigations regarding complaints alleging sexual harassment, sexual assault, sexual misconduct, and relationship violence as well as collaborates with the Title IX Coordinator to assess and ensure the safety of the impacted student and/or community. Christina joined the Title IX Office in May 2017 as the Administrative Case Manager. Her primary role is to provide administrative support to the office’s remedial and protective measures program and hearing process. In addition to coordinating the scheduling of hearings, Christina coordinates the provision of remedial measures to assist in maintaining each party’s well-being and continued access to University programs, as appropriate. She also assists in the management of protective measures for students, faculty, staff, and third parties to ensure a safe and non-discriminatory campus environment. She coordinates with all members of the Title IX team to ensure that individualized cases receive the right services in an appropriate and timely manner. Elizabeth joined the Title IX department June of 2017, serving as the full-time Training and Prevention Specialist. She is available to provide and coordinate trainings, presentations, group discussions and additional resources around the prevention of sexual assault and interpersonal violence, including Title IX policy, procedures, and resources available. Elizabeth works on campus to lessen the stigma and challenge the stereotypes surrounding power-based violence. She also advises the It’s On Us Student Advisory Council in addition to the Sexual Assault Advisory Board. The Review Panel will consist of three individual members drawn from a standing pool of panelists. The Review Panel may consist of faculty, staff, or external professionals. Students may not serve as a member of the Review Panel. All members of the Review Panel will receive annual training on the issues related to sexual and gender-based harassment, sexual assault, dating violence, domestic violence, and stalking and on how to conduct a hearing that is fair and impartial and provides parties with notice and a meaningful opportunity to be heard. Members of the Review Panel will be impartial and free from conflict of interest or actual bias. The Title IX Case Management Team works with the Title IX Coordinator to manage investigations, remedies (including interim measures) and overall monitoring of campus climate. Click here for current Title IX Case Management Team members.